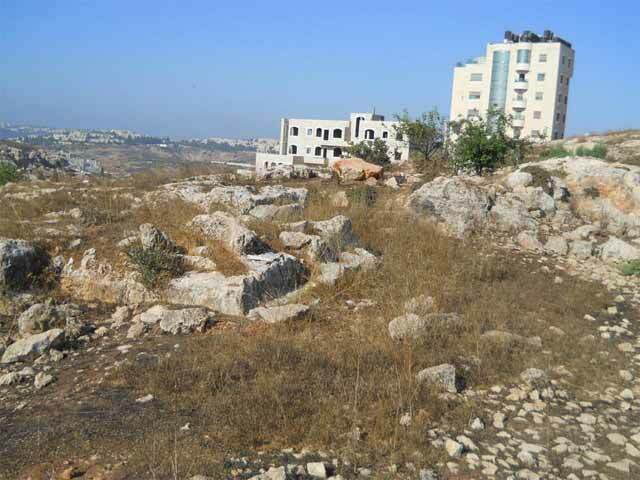 During August 2012, a survey was conducted in the western part of the Beit Hanina neighborhood in Jerusalem (License No. S-371/2012; map ref. 22080–155/63760–75), prior to paving Road 301. 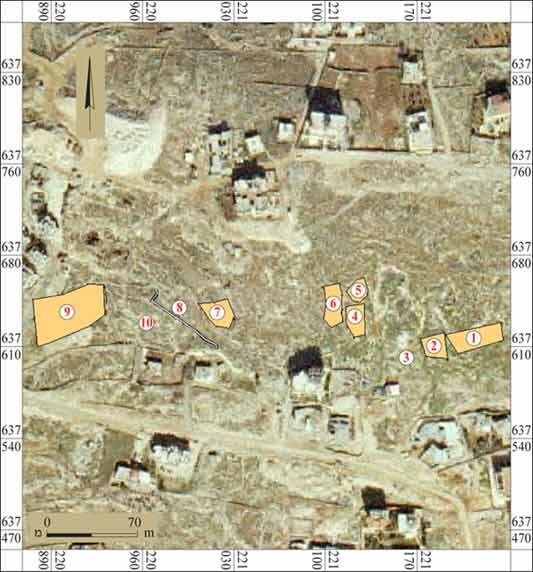 The survey, undertaken on behalf of the Israel Antiquities Authority and underwritten by the Jerusalem municipality, was performed by A. Wiegmann, with the assistance of B. Touri and D. Levi (GPS). 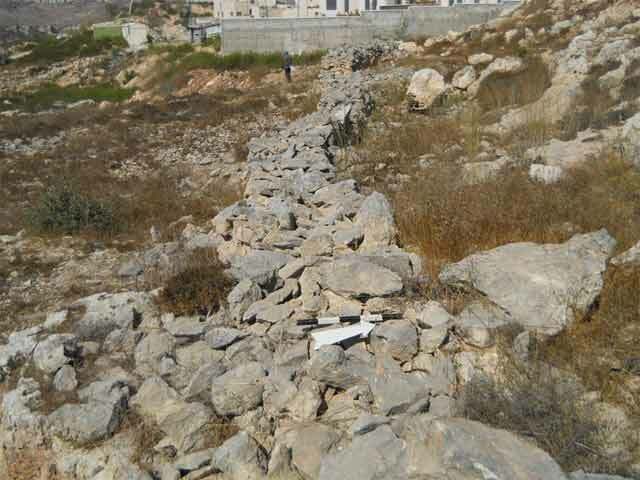 The survey was carried out in an area extending along a rocky slope facing south (length c. 400 m, width c. 40 m; Fig. 1). 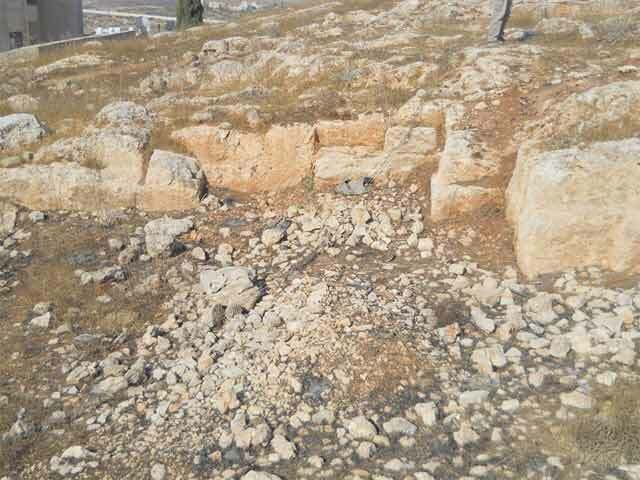 Quarries and a watchman’s hut were excavated at the eastern end of the survey area, close to its northern boundary (Permit Nos. A-6324, A-6483). 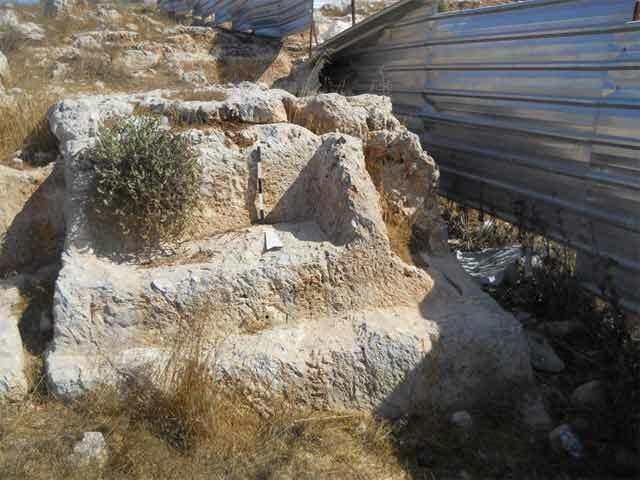 Ten sites (1–10) were identified: eight ancient quarries (1–7, 9), a field wall (8) and an engraved pattern on the bedrock (10). The quarries are large (total area c. 3,750 sq m; Figs. 2–6) and diagonal chisel marks are visible on their sides. 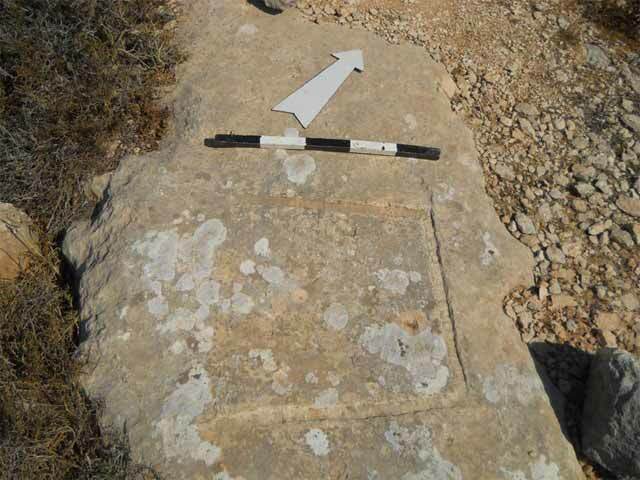 A pattern engraved with a chisel was discovered on the bedrock between the quarries (Fig. 7). The pattern is composed of three lines that make a U-shaped form (c. 45×45 cm), whose western side is closed with a dotted line. The pattern might be connected to the quarrying activity carried out at the site. A long field wall was recorded in the western part of the survey area (Fig. 8) and evidence of modern quarrying activity that involved the use of explosives was found in the southern part of the survey area; it probably destroyed some of the ancient quarries. 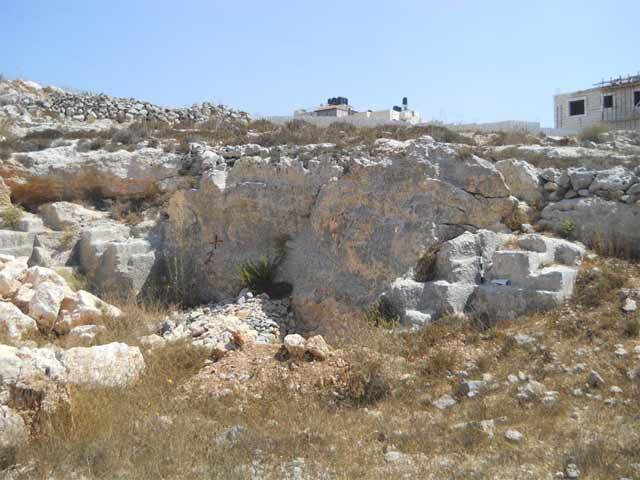 The series of quarries documented in the survey is part of an extensive quarrying site in the western part of the neighborhood (see HA-ESI 124). 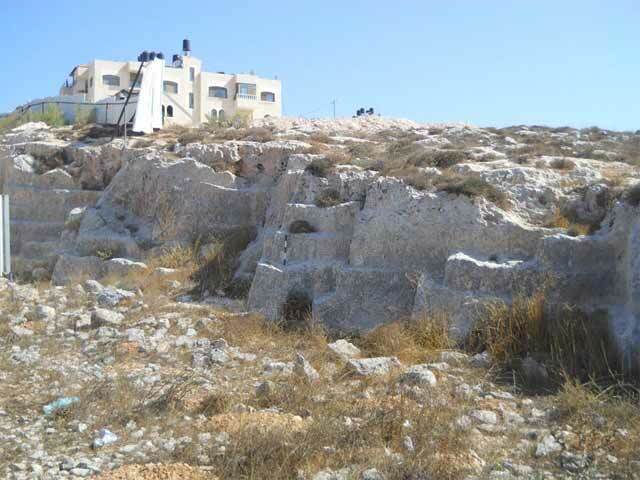 The documented quarries are similar in their design and size to those excavated next to the survey area, which were dated to the Roman–Byzantine periods. 2. Quarry 1, looking west. 3. Quarry 4, looking west. 4. Quarry 5, looking north. 5. Quarry 7, looking northeast. 6. Quarry 9, looking northeast. 7. A pattern engraved in the bedrock, looking northwest. 8. A field wall, looking northwest.